Gradient boosting is a powerful machine learning algorithm used to achieve state-of-the-art accuracy on a variety of tasks such as regression, classification and ranking. It has achieved notice in machine learning competitions in recent years by “winning practically every competition in the structured data category”. If you don’t use deep neural networks for your problem, there is a good chance you use gradient boosting. In this post I look at the popular gradient boosting algorithm XGBoost and show how to apply CUDA and parallel algorithms to greatly decrease training times in decision tree algorithms. I originally described this approach in my MSc thesis and it has since evolved to become a core part of the open source XGBoost library as well as a part of the H2O GPU Edition by H2O.ai. H2O GPU Edition is a collection of GPU-accelerated machine learning algorithms including gradient boosting, generalized linear modeling and unsupervised methods like clustering and dimensionality reduction. H2O.ai is also a founding member of the GPU Open Analytics Initiative, which aims to create common data frameworks that enable developers and statistical researchers to accelerate data science on GPUs. The term “gradient boosting” comes from the idea of “boosting” or improving a single weak model by combining it with a number of other weak models in order to generate a collectively strong model. Gradient boosting is an extension of boosting where the process of additively generating weak models is formalised as a gradient descent algorithm over an objective function. Gradient boosting is a supervised learning algorithm. This means that it takes a set of labelled training instances as input and builds a model that aims to correctly predict the label of each training example based on other non-label information that we know about the example (known as features of the instance). The purpose of this is to build an accurate model that can automatically label future data with unknown labels. Table 1 shows a toy dataset with four columns: ”age”, “has job”, “owns house” and “income”. In this example I will use income as the label (sometimes known as the target variable for prediction) and use the other features to try to predict income. To do this, first I need to come up with a model, for which I will use a simple decision tree. Many different types of models can be used for gradient boosting, but in practice decision trees are almost always used. I’ll skip over exactly how the tree is constructed. For now it is enough to know that it can be constructed in order to greedily minimise some loss function (for example squared error). Figure 1. Decision tree 0. 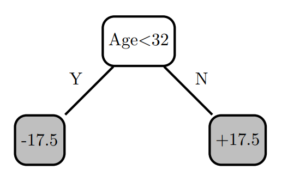 Figure 1 shows a simple decision tree model (I’ll call it “Decision Tree 0”) with two decision nodes and three leaves. A single training instance is inserted at the root node of the tree, following decision rules until a prediction is obtained at a leaf node. Table 2 shows the residuals for the dataset after passing its training instances through tree 0. Table 2. Income dataset with tree 0 residuals. Figure 2. Decision tree 1. To improve the model, I can build another decision tree, but this time try to predict the residuals instead of the original labels. This can be thought of as building another model to correct for the error in the current model. I add the new tree to the model, make new predictions and then calculate residuals again. In order to make predictions with multiple trees I simply pass the given instance through every tree and sum up the predictions from each tree. Table 3. Income dataset with tree 0 and tree 1 residuals. For the baseline model I just predict 0 for all instances. So the residual is the negative gradient of the loss function for this training instance. Hence, by building models that adjust labels in the direction of these residuals, this is actually a gradient descent algorithm on the squared error loss function for the given training instances. This minimises the loss function for the training instances until it eventually reaches a local minimum for the training data. The above algorithm describes a basic gradient boosting solution, but a few modifications make it more flexible and robust for a variety of real world problems. In particular, XGBoost uses second-order gradients of the loss function in addition to the first-order gradients, based on Taylor expansion of the loss function. You can take the Taylor expansion of a variety of different loss functions (such as logistic loss for binary classification) and plug them into the same algorithm for greater generalisation. In addition to this, XGBoost transforms the loss function into a more sophisticated objective function containing regularisation terms. This extension of the loss function adds penalty terms for adding new decision tree leaves to the model with penalty proportional to the size of the leaf weights. This inhibits the growth of the model in order to prevent overfitting. Without these regularisation terms, gradient boosted models can quickly become large and overfit to noise present in the training data. Overfitting means that the model may look very good on the training set but generalises poorly to new data that it has not seen before. You can find a more detailed mathematical explanation of the XGBoost algorithm in the documentation. 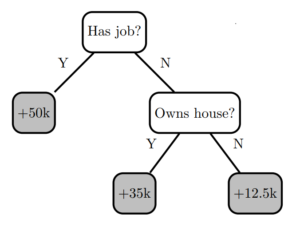 In order to explain how to formulate a GPU algorithm for gradient boosting, I will first compute quantiles for the input features (‘age’, ‘has job’, ‘owns house’). This process involves finding cut points that divide a feature into equal-sized groups. The boolean features ‘has job’ and ‘owns house’ are easily transformed by using 0 to represent false and 1 to represent true. The numerical feature ‘age’ transforms into four different groups. The following table shows the training data with quantised features. 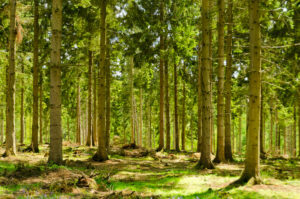 It turns out that dealing with features as quantiles in a gradient boosting algorithm results in accuracy comparable to directly using the floating point values, while significantly simplifying the tree construction algorithm and allowing a more efficient implementation. Here’s a brief explanation of how to find appropriate splits for a decision tree, assuming SSE is the loss function. As an example, I’ll try to find a decision split for the “age” feature at the start of the boosting process. After quantisation there are three different possible splits I could create for this feature: (age < 18), (age < 32) or (age < 67). I need a way to evaluate the quality of each of these splits with respect to the loss function in order to pick the best. I can simplify here by denoting the sum of residuals in the leaf as . This equation tells what the training loss will be for a given leaf , but how does it tell me if one split is better than another? When I create a split in the training instances , I denote the set of instances going down the left branch as and those going down the right branch . I predict in the left leaf and in the right leaf. The above equation gives the training loss for a given split in the tree, so I can simply apply this function to a number of possible splits under consideration and choose the one with the lowest training loss. I can recursively create new splits down the tree until I reach a specified depth or other stopping condition. Bringing this back to my example of finding a split for the feature “age”, I’ll start by summing the residuals for each possible quantile value of age. Assume I’m at the start of the boosting process and therefore the residuals are equivalent to the original labels . The sums for each quantile can be calculated easily in CUDA using simple global memory atomic add operations or using the more sophisticated shared memory histogram algorithm discussed in this post. In order to apply the function, I need to know the sum of all values to the left and all values to the right of possible split points. To do this I can use the ever useful parallel prefix sum (or scan) operation. In this case I use the “inclusive” variant of scan for which efficient implementations are available in the thrust and cub libraries. I also make the reasonable assumption that I know the sum of all residuals in the current set of instances (210 here). This allows me to calculate the sum of elements to the right by subtracting the elements to the left (the inclusive scan) from the total. After applying the split loss function to the dataset, the split (<18) has the greatest reduction in the SSE loss function. I would also perform this test over all other features and then choose the best out of all features to create a decision node in the tree. A GPU can do this in parallel for all nodes and all features at a given level of the tree, providing powerful scalability compared to CPU-based implementations. Gradient boosting in XGBoost contains some unique features specific to its CUDA implementation. Memory efficiency is an important consideration in data science. Datasets may contain hundreds of millions of rows, thousands of features and a high level of sparsity. Given that device (GPU) memory capacity is typically smaller than host (CPU) memory, memory efficiency is important. I have implemented parallel primitives for processing sparse CSR (Compressed Sparse Row) format input matrices following work in the modern GPU library and CUDA implementation of sparse matrix vector multiplication algorithms. These primitives allow me to process a sparse matrix in CSR format with one work unit (thread) per non-zero matrix element and efficiently look up the associated row index of the non-zero element using a form of vectorised binary search. This significantly reduces storage requirements, provides stable performance and still allows very clean and readable code. Another innovation is the use of symbol compression to store the quantised input matrix on the device. The maximum integer value contained in a quantised nonzero matrix element is proportional to the number of quantiles, commonly 256, and to the number of features which are specified at runtime by the user. It seems wasteful to use a four-byte integer to store a value that very commonly has a maximum value less than 216. To solve this, the input matrix is bit compressed down to bits per element on the host before copying it to the device. Note that this data is not modified once on the device and is read many times. Using this bit compression method in XGBoost reduces the memory cost of each matrix element to less than 16 bits in typical use cases. This is half the cost of the equivalent CPU implementation. Note that while it would be possible to use this iterator just as easily on the CPU, the instructions required to extract a symbol from the compressed stream can result in a noticeable performance penalty. The GPU kernels are typically memory bound (as opposed to compute bound) and therefore do not incur the same performance penalty from extracting symbols. I evaluate performance of the entire boosting algorithm using the commonly benchmarked UCI Higgs dataset. This is a binary classification problem with 11M rows * 29 features and is a relatively time consuming problem in the single machine setting. The following Python script runs the XGBoost algorithm. It outputs the decreasing test error during boosting and measures the time taken by GPU and CPU algorithms. Running this script on a system with an NVIDIA Tesla P100 accelerator and 2x Intel Xeon E5-2698 CPUs (32 cores total) shows a 4.15x speed improvement for the GPU algorithm with the same accuracy as the CPU algorithm. Figure 3 plots the decrease in test error over time for each algorithm. As you can see, the test error decreases much more rapidly with GPU acceleration. Figure 3. 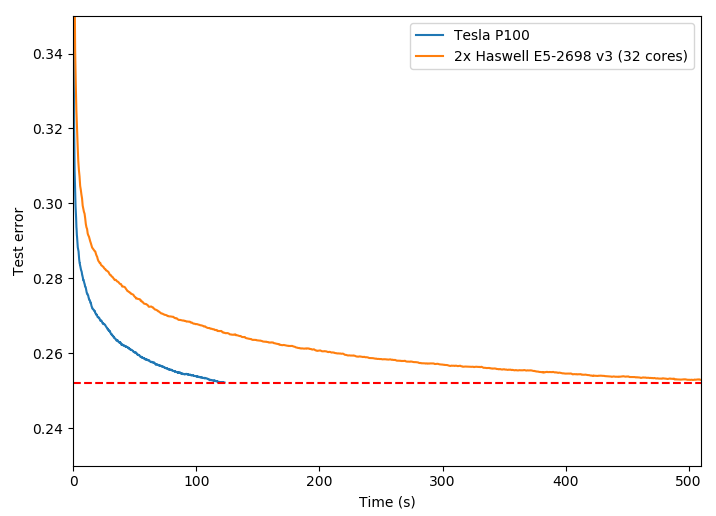 Test error over time for the Higgs dataset, 1000 boosting iterations. Using the GPU-accelerated boosting algorithm results in a significantly faster turnaround for data science problems. This is particularly important because data scientists typically run the algorithm not just once, but many times in order to tune hyperparameters (such as learning rate or tree depth) and find the best accuracy. Future work on the XGBoost GPU project will focus on bringing high performance gradient boosting algorithms to multi-GPU and multi-node systems to increase the tractability of large-scale real-world problems. Experimental multi-GPU support is already available at the time of writing but is a work in progress. Stay tuned! Whether you are interested in winning Kaggle competitions, predicting customer interactions or ranking relevant web pages, you can achieve significant improvements in training and inference speed by using CUDA-accelerated gradient boosting. Get started here with an easy python demo, including links to installation instructions. Chen, T., & Guestrin, C. (2016, August). XGBoost: A scalable tree boosting system. In Proceedings of the 22nd acm sigkdd international conference on knowledge discovery and data mining (pp. 785-794). ACM. Rory is a PhD student at the Computer Science Department, Waikato University, New Zealand. He is a contributing member of the Distributed Machine Learning Community (DMLC) and primary author of XGBoost’s GPU gradient boosting algorithms. Rory is also employed by H2O.ai as a consultant on GPU-accelerated machine learning algorithms.